I don't normally use this blog for direct marketing, but since TeachersPayTeachers is having a site-wide Back to School sale (Aug 4 & 5), and since I have a store there, I thought I'd take the opportunity to blatantly peddle my Start With Art lesson bundle designed for elementary classroom teachers who are not necessarily art teachers. This collection of five art lessons is a great way to start the school year with lower grade elementary students. It introduces the elements of design -- line, shape, color, pattern & texture, and space -- with open-ended explorations designed to allow students to use a variety of art materials and techniques. And... it gives teachers a great opportunity to observe students motor skills, work habits, creativity, and responsibility! 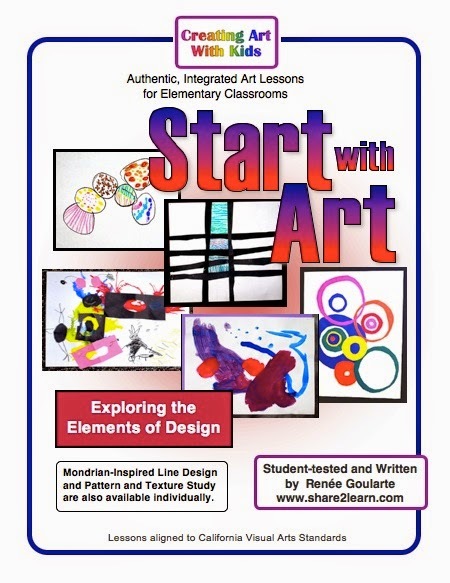 Start With Art is a big seller in my TpT store, and it's 20% off for two days -- August 4 and 5. With the TpT promotion code (BTS14) you save an additional 10%, for a total savings of 28%! Check out my store, and while you're there, download my free resource, Making Time For Art. 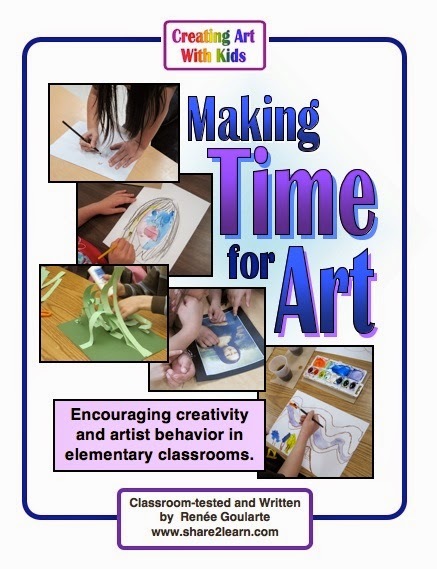 It's filled with ideas and suggestions for incorporating more art lessons into the classroom. Enjoy!